za konec tedna pa še en čisto enostaven novoletni tag za zalogo ... kot bi se reklo, čistim predale in svoje papirje, tole je vse Marianne design (JU0952, LR0335, PK9097, PK9125). 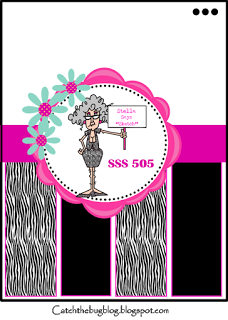 A super tag Tina, a fabulous design. Vedno in znova občudujem tvojo vnemo pri voščilnicah s shemo. Meni je ena na leto čisto dovolj, da mi požre živce. Ti pa tako z lahkoto fliki floki sestaviš, da jo je veselje pogledat. Čeprav praviš, da je tag čisto enostaven izgleda fantastičen. Tale izrez taga je res tako čudovit in bogat že sam po sebi, da ne rabi veliko dodatkov. In papir z angelčkom je prav tako krasen. Really beautiful and so cute Tina. Super cute little angel, love the intricate die cut behind her. Thanks for playing at HLS Christmas challenge. Beautiful tag! Thank you so much for entering our challenge at Crafty Gals Corner Challenges this week. Be sure to join us next week too! What a beautiful tag. Love the sweet angel and the pretty papers you used. Fabulous tag. Love that image :-) Thanks for sharing with us at CCAYR. Pretty tag! Thanks for joining us at ABC Christmas Challenge. This is such a cute creation Tina. I just love it and how you followed our sketch. Thanks for playing along with us at Catch the Bug for our Stella Says Sketch Challenge. Hope to see you again soon. Good Luck. Sweet tag, pretty paper. Thanks for joining us at CHNS patterned Paper Challenge this month. Great Christmas tag. Snowflakes are good for stars :-) Thank you very much for sharing with us on HLS XMAS with this beautiful card. I hope you join us again. So pretty!! Thanks so much for participating in our CHRISTMAS CARDS ALL YEAR 'ROUND challenge. Hope you participate in our next challenge!! Have a happy crafty day!!! How adorable your tag is. Thank you for playing along with HLS Anything Goes With Dies March Challenge. Hope to see you again in April! A Gorgeous tag! Such a pretty design too. Thank you so much for joining us at ABC Christmas Challenge. Lovely work. Thank you for joining the challenge at the 12 months of Christmas cards link up. Hope to see you again next time.